It seems that newly-elected Democrat Socialist Alexandria Ocasio-Cortez has yet to understand that a big part of her job as a Member of Congress is to meet with and deal with her constituents. On Thursday, the New York Post reported that the recently-dubbed “pompous little twit” has yet to open an office in the Bronx and advised constituents to follow her on Twitter. Rep. Alexandria Ocasio-Cortez on Thursday tried to explain her lack of office hours by saying she’s still taking “baby steps” — but said constituents who can’t work with her sporadic schedule should follow her on Twitter. Almost three months after her inauguration, the freshman congresswoman only recently opened a Queens office and still doesn’t have one in the Bronx. Instead, on Thursday, she appeared at the Westchester Square Library for just two hours during the workday, where she met with 17 locals. “Right now we’re just taking these baby steps and adapting according to community feedback,” the 29-year-old told The Post when asked why her brief availability was in the middle of the day. “Baby steps?” Where was that attitude when she came up with the economy-destroying Green New Deal? “Due to safety reasons I’m not allowed to, so Capitol Police, uh, yeah, it’s intense, so, Capitol Police recommend that we don’t give specific details about where we will be and when too far in advance,” she told the Post. “The police don’t tell us what to do. The police did not send out a memo that we advise you not to send out a public schedule,” said the aide. Oddly, the Democratic socialist who wants to do away with cars and planes and farting cows can find plenty of time to appear on TV shows. She had that wonderful, like, yeah, for sure, appearance on Jimmy Kimmel’s late-night show. Of course she’s been on Stephen Colbert’s hyper liberal show. And Thursday, she sat down with Seth Meyers. So she’s got plenty of time — just not much for her constituents. 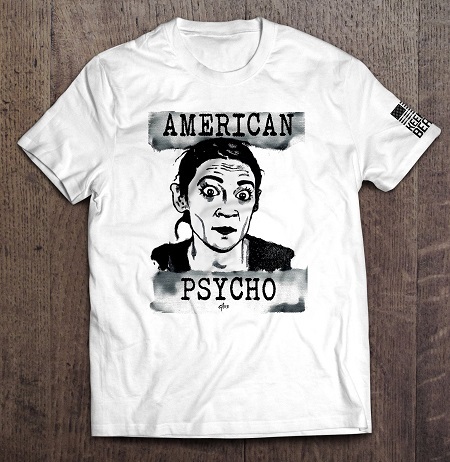 “AOC” Unmasked: How Did She “Appear” Out Of Nowhere? Who Are Her Puppeteers/Handlers? What Are Their End Goals?